Nick Schultz | The Phoenix Loyola redshirt senior guard Marques Townes celebrates after making a layup and drawing a foul. The Loyola men’s basketball team (5-3) got back in the win column Saturday afternoon as it defeated cross-town rival University of Illinois at Chicago (UIC) 73-64 at Credit Union 1 Arena in Chicago’s West Loop. The Ramblers recorded 20 assists on the day — their highest total of the season — and shot 56.9 percent from the field. They were led by sophomore center Cameron Krutwig, who tallied 16 points and seven rebounds in 30 minutes. Redshirt senior guards Clayton Custer and Marques Townes also propelled Loyola with 16 points apiece. The game began with Moser announcing two major changes to his starting lineup, as first-year guards Isaiah Bujdoso and Cooper Kaifes both picked up their first collegiate starts. The adjustments came on the heels of sophomore guard Lucas Williamson going down with a broken hand against Nevada and redshirt sophomore guard Aher Uguak taking on a bench role in an attempt to shake a poor start to the season. Bujdoso finished his first start with four points as well as an assist and a rebound, while Kaifes recorded 12 points — 11 of which were in the first half as he started 3-for-3 from three-point range. “I thought the young guys stepped up today, played really well and they weren’t scared of the moment at all,” Custer said. The first half saw the Ramblers get off to a fast start as they led 17-9 at the first media timeout with 11:45 left, breaking an early-season trend. Loyola finished the half strong and headed to the locker room with a 37-28 lead. In the second half, Loyola continued to pressure UIC, maintaining a double-digit lead for the majority of the half while slowing down the tempo and attempting to use all 30 seconds of the shot clock. 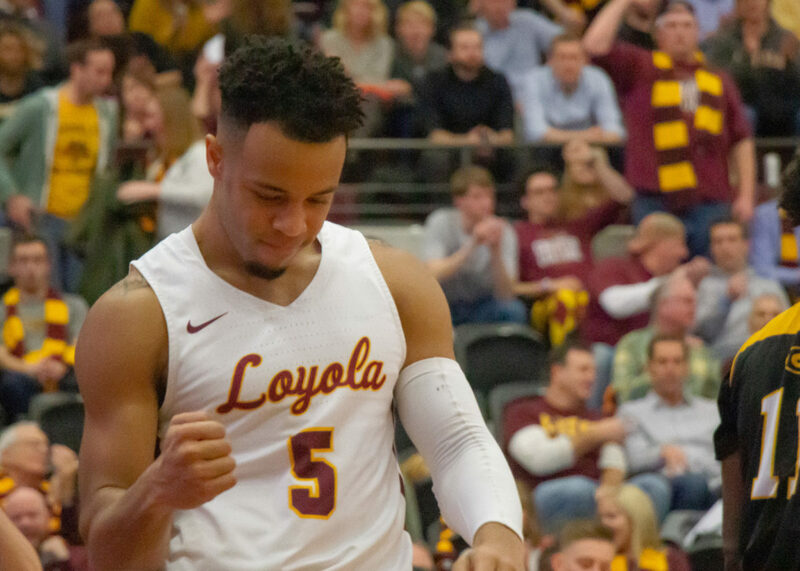 Loyola completed the victory 73-64 despite a late surge from UIC that saw the Flames close the gap to single digits as late free-throws from Townes and Custer iced the win. Next up, the Ramblers are scheduled to take on Ball State University at Gentile Arena Dec. 5. Tip-off is slated for 8 p.m.